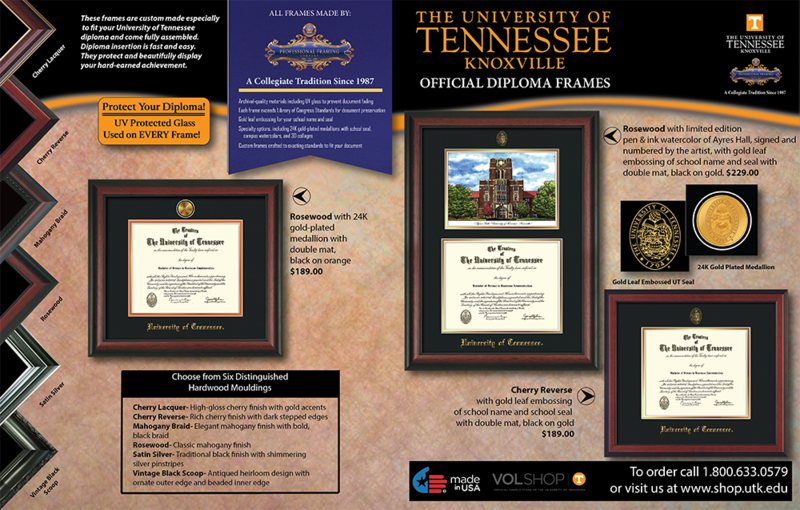 This is a brochure I designed from the ground up for a company marketing diploma frames to University of Tennessee graduates through the campus bookstore. I designed it in Adobe Illustrator. This project was completed in March 2016.